A NO-NONSENSE GUIDE TO DISCOVERING AND ACTING ON YOUR GOALS, COVERING THE LATEST TIME MANAGEMENT TECHNIQUES AND INTRODUCING THE SMALL STEPS METHOD. READERS HAVE ACCESS TO THE SMALL STEPS METHOD WEBSITE. 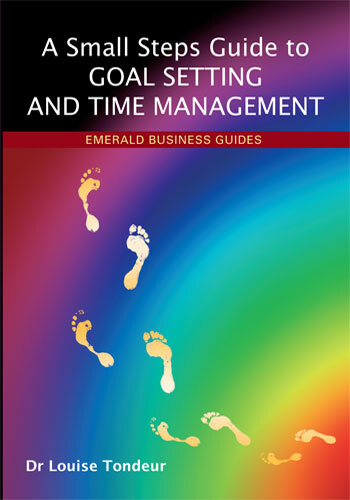 A Small Steps Guide to Goal Setting and Time Management is a no-nonsense guide to discovering your goals and making them concrete. It is ideal for goal setting for health, career, study, family, finances, travel or leisure. Written for those who want a straightforward guide to getting their dreams on track, with special sections for those who lack motivation or who never seem to have time, readers have access to the small steps method website for further tips and advice. *Reality check-Motivation-What is it? Do You Need It? * Small ways to keep Check. About the author: Dr Louise Tondeur is a Senior Lecturer in Creative Writing at Roehampton University, specialising in Fiction. She has published two novels with Headline Review and has just finished a third. She developed the small steps method when writing her novels, completing her PhD, traveling around the world and when starting a family - without it the road to success would have been much more bumpy. She uses the small steps method with her undergraduate and postgraduate students. 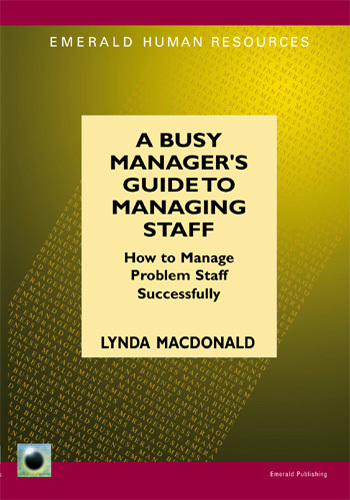 This first book in the Emerald Human Resources series, A Busy Managers Guide to Managing Staff-How to Manage Problem Staff Successfully, is intended to be a practical guide for managers who face a range of problems associated with employee's behaviour, attendance, performance and general conduct at work. Managers and supervisors at all levels within all sizes and types of organisation will benefit from this comprehensive guide, which is designed to provide a straightforward and intelligible explanation of relevant employment law and practical hands-on guidance as to how to deal with problem people at work. Many businesses, usually small, sole traders or small limited companies, often find the task of keeping books and accounts daunting. The process of keeping accurate records which are acceptable to the Inland Revenue and Customs and Excise, without the use of an accountant can and does often lead to problems. This guide will prove invaluable for all those in business. The reader should find the process of bookkeeping and preparation of accounts made that much easier. o The general importance of keeping accounts. o Systems of recording transactions. o Types of books to keep. 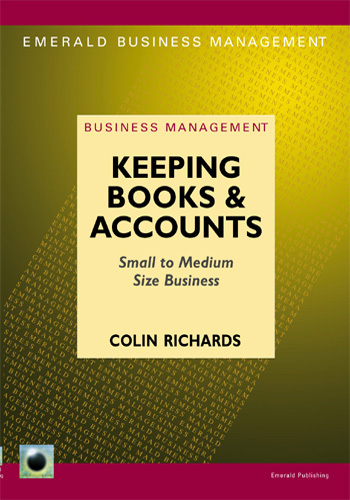 The author: Colin Richards works as a freelance lecturer teaching the essentials of accountancy and bookkeeping. He has developed this book so that keeping basic accounts for small business will be made that much easier for those with no financial grounding. This second publication in the Emerald Business Management Series, Business Start Up and Future Planning, is a comprehensive guide to all aspects of the formation of a company and also to the ongoing planning and development of a business. The Author: Gordon Clark is a professional business consultant and advises companies and individuals in the area of business planning. 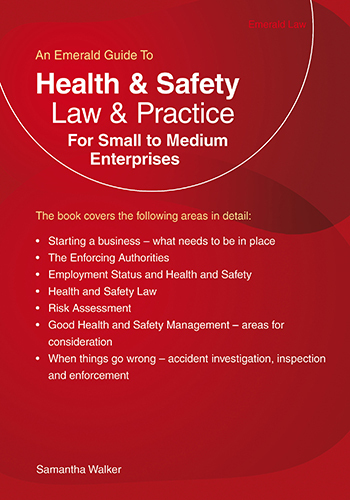 Health and Safety, Law and Practice for Small to Medium Enterprises is the first book of its kind targeting small to medium businesses. This book will prove invaluable as a complete handbook for existing and developing business and will guide managers in those businesses and assist them in ensuring that a comprehensive health and safety strategy is in place. The author: Samantha Walker is a former health and safety inspector for the Health and safety Executive (HSE). She has wide ranging experience of inspecting and enforcing health and safety across all sectors, both public and private. She now works as a consultant to several large utility companies.